The bacteria that cause cavities are streptococcus mutans. These type of bacteria thrive in an acid environment. When you eat sugars, streptococcus mutans consumes the sugars and produces acid. Other than improving oral hygiene through brushing and flossing, controlling the acidity in the mouth is critical to the health of your teeth. The pH scale measures how acidic or basic a substance is. The pH scale ranges from 0 to 14. A pH of 7 is neutral. A pH less than 7 is acidic. A pH greater than 7 is basic. With this information, scientists have concluded that a pH of 5.5 or lower is enough to dissolve collagen. Collagen is the main structural protein of the various connective tissues in animals (Bones, Teeth, Skin). Brushing with baking soda can neutralize the acidity of the mouth. Baking Soda is one of the least abrasive tooth cleaners available. If you drink coffee, it is good to know that black coffee prevents cavities, but when you add cream or sugar to your coffee, it can make it five times more acidic. Purified water and tap water are both neutral, but when chemicals are mixed with the water they can become acidic or basic. Many bottled waters are in the pH range of 5.5 (acidic). It is beneficial to your oral health to check the pH of bottled waters and choose accordingly, as you may be damaging your teeth drinking certain brands of water. If you chew gum, I recommend that you chew "Ice Breakers - Ice Cube" It contains Xylitol, a sugar free substitute. 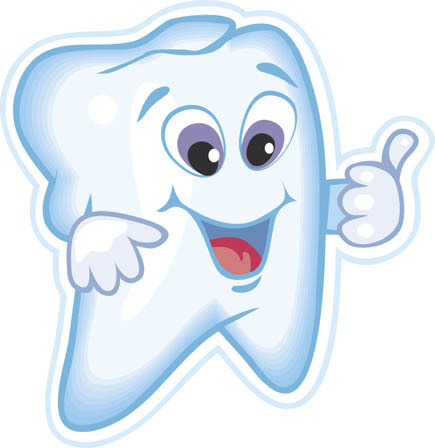 Xylitol also coats the tooth surface to make it more difficult for bacteria to adhere to it. All of this info can help you to prevent cavities, and we appreciate you taking the time to read this information. If you are interested in the pH levels of certain brands of bottled water you typically drink, as well as the abrasiveness index of common toothpastes, I have included some links below.